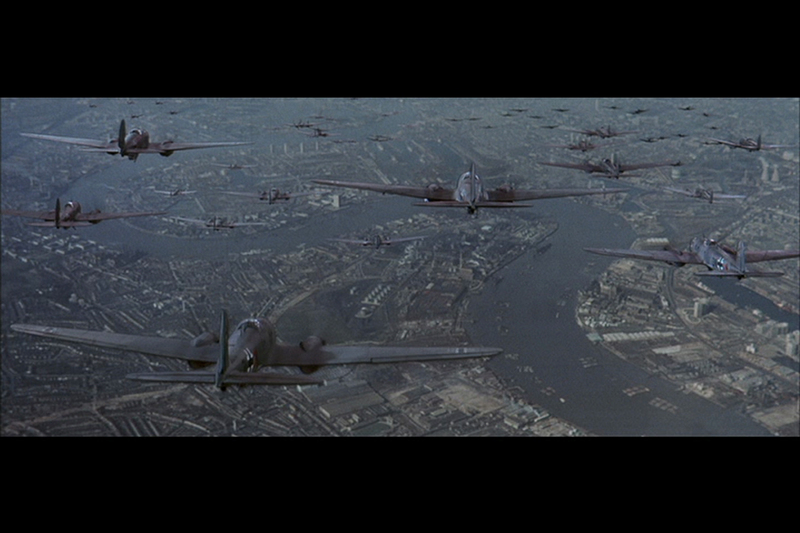 Battle of Britain is a 1969 war picture directed by Guy Hamilton relating to the events of the iconic combat of the Second World War which was fought over the skies of England in the summer of 1940. 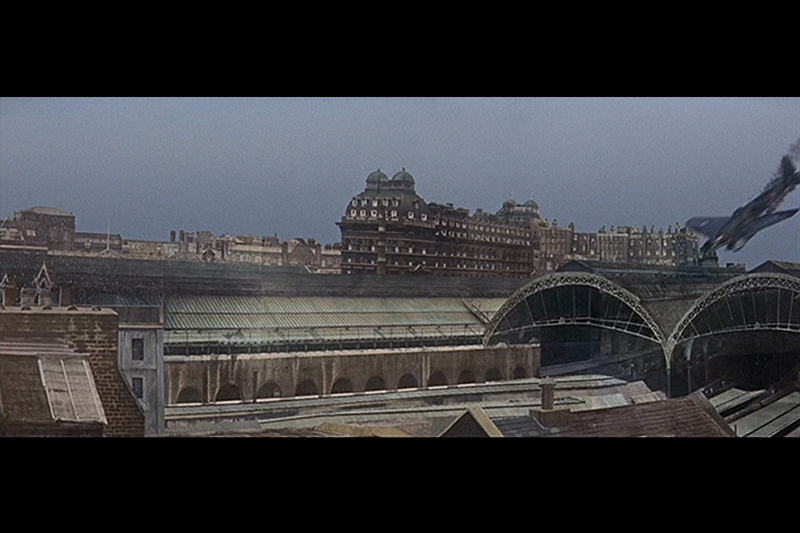 The movie features an all star cast including Laurence Olivier, Michael Caine, Trevor Howard, Christopher Plummer, Susannah York, Curd Jurgens and Hein Riess, the films budget has been reported as high as $17 million which was considered very large in the 1960s, larger than the budget for Stanley Kubrick's 1968 epic 2001: A Space Odyssey. 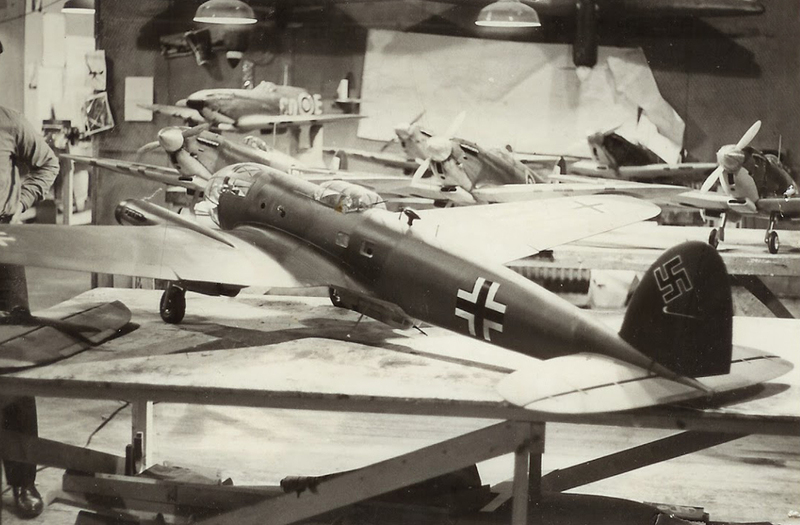 Much of the expense of the film can be attributed to the use of genuine aircraft and steering away from miniature effects in an effort to be as authentic and accurate as possible with director Guy Hamilton feeling that he had a responsibility to history. 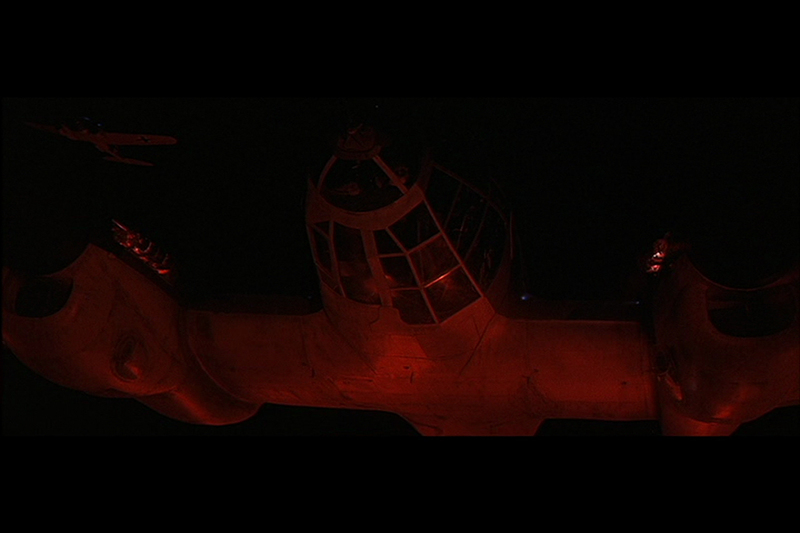 Indeed the production were able to source a quantity of period aircraft which were filmed from a B-25 Mitchell converted to carry a number of cameras under the direction of David Bracknell who headed the aerial unit., the assembled fleet was reportedly the 35th largest air force in the world at the time of production. 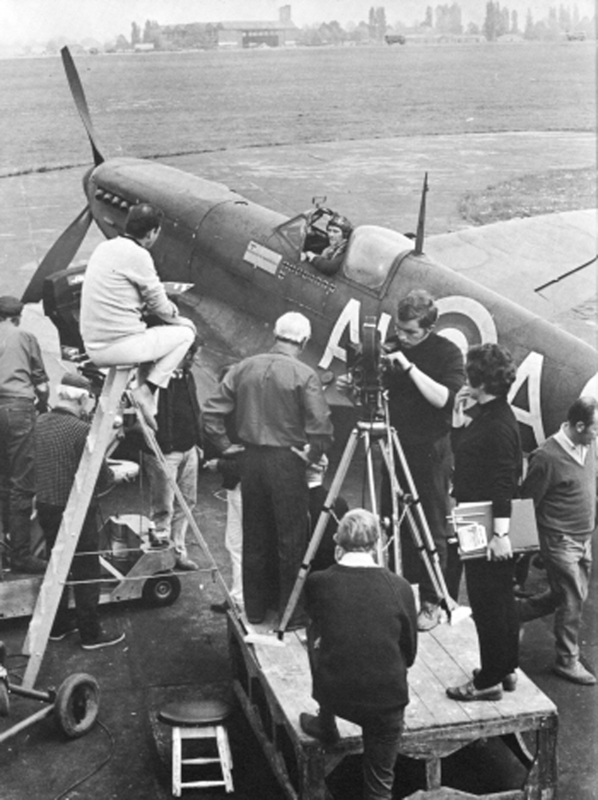 Despite the acquisition of the various period aircraft there were numerous special effects requirements for shots which could not be achieved for real. 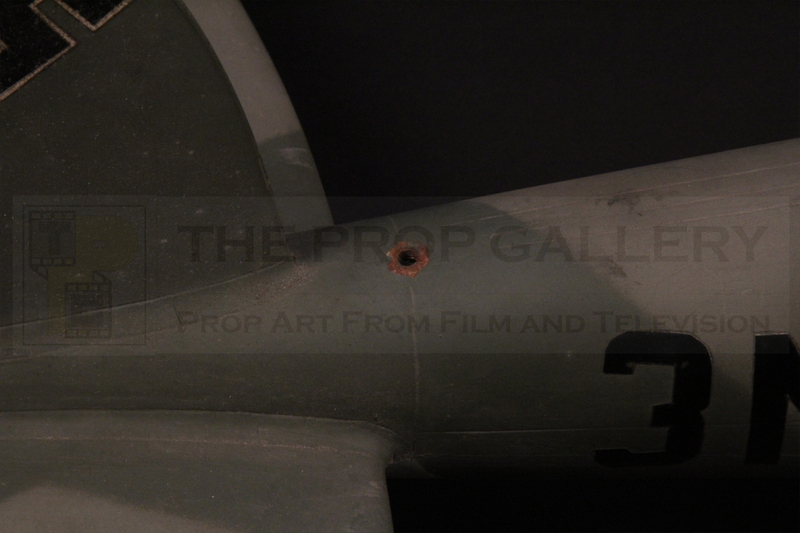 Full size replica shells were constructed at Pinewood Studios which were used for static group shots and explosions with a number of remote control (RC) models also built and flown by experienced enthusiasts, this work was largely undertaken by a team which included John Siddall, Mick Charles and Jack Morton who were uncredited possibly because the filmmakers did not want it known that such models were used. 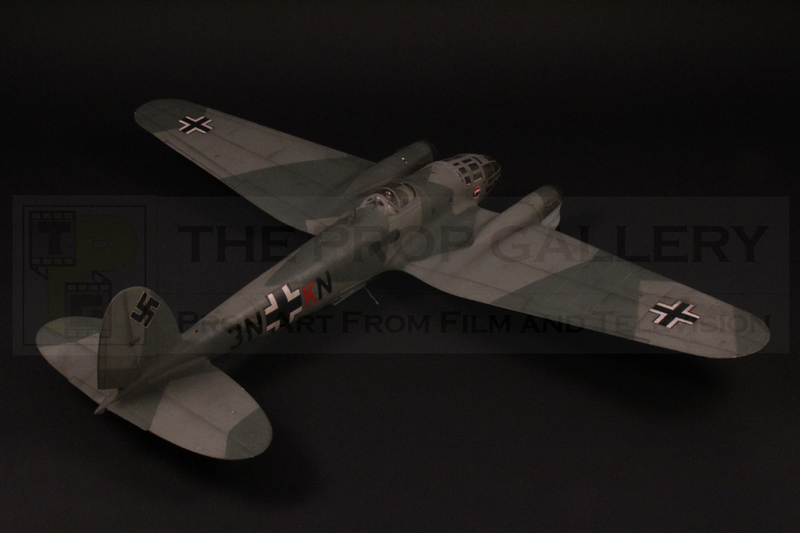 Academy Award winning special effects legend John P. Fulton was initially contracted to produce miniature effects for the picture but sadly passed away shortly after production commenced. 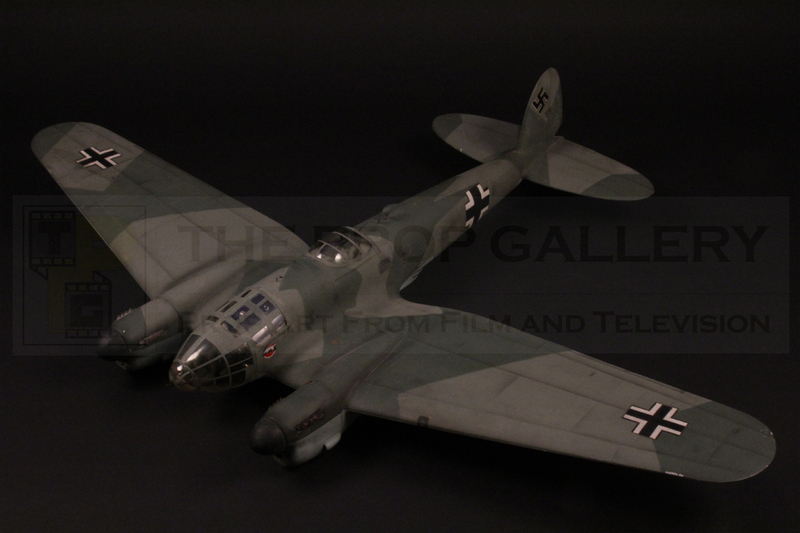 The special effects were nonetheless handled by serious and recognised talent in the form of Cliff Richardson, father of effects artist John Richardson, multi Academy Award winner Glen Robinson and noted matte artists Wally Veevers and Ray Caple. 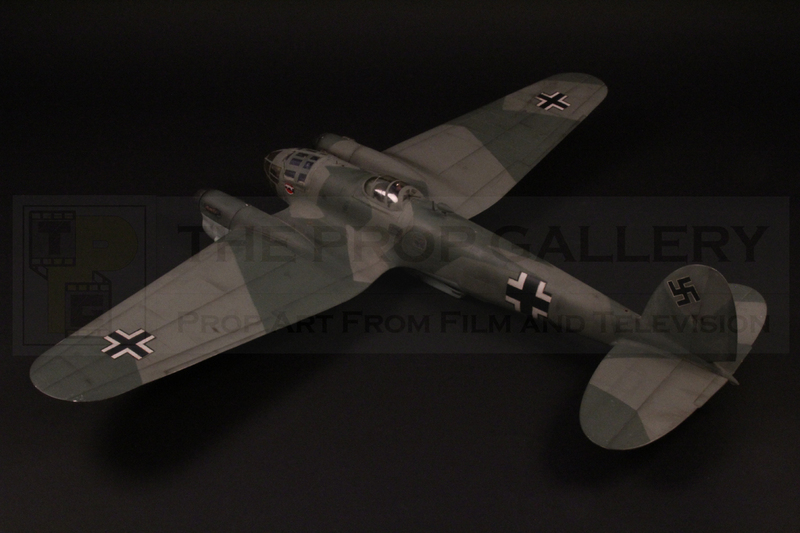 Various filming miniatures were built for use in the production however the high standard of the effects work and editing makes their use extremely difficult to spot on screen, one notable miniature shot is the Stuka crashing in to the tower, this was achieved with a miniature built by Mastermodels who also constructed a large scale Spitfire for the production. 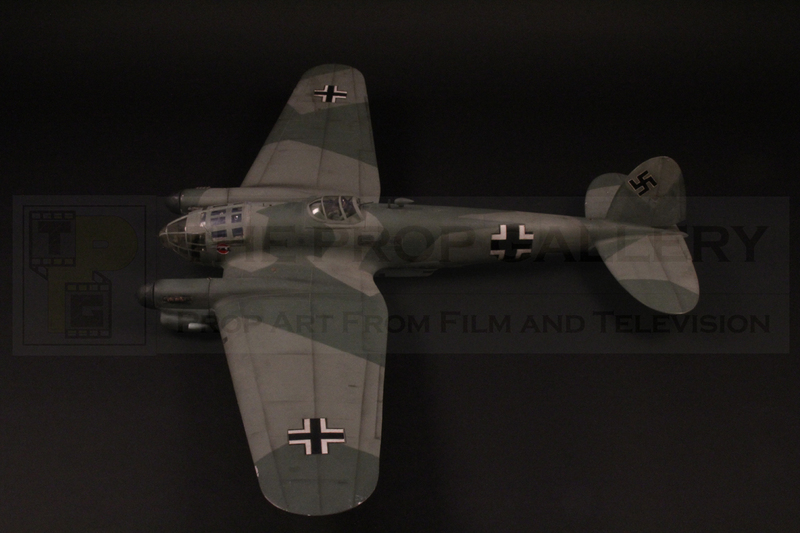 This is one of the original Heinkel He 111 filming miniatures used during the production and one of the signature aircraft utilised by the Luftwaffe in the Battle of Britain. 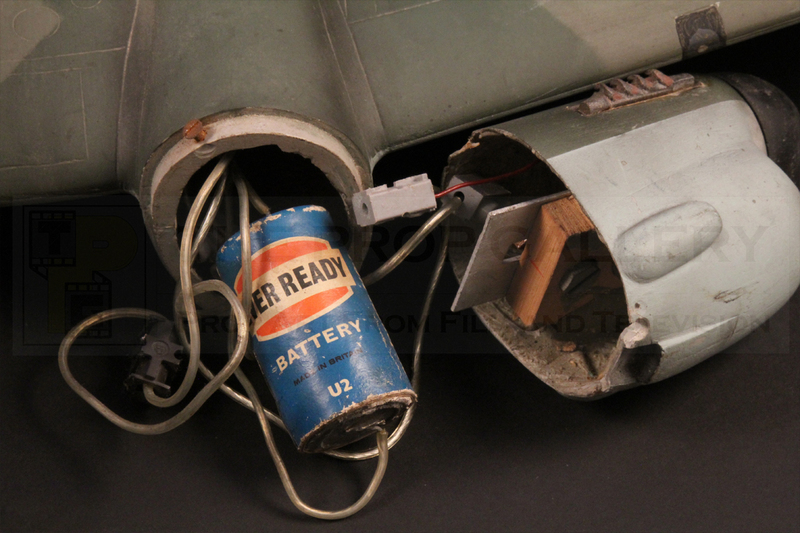 The miniature is constructed from fibreglass and features detachable engine cowling's which contains motors used to drive propellers, this was achieved by concealed batteries which were soldered in place and remain to this day. 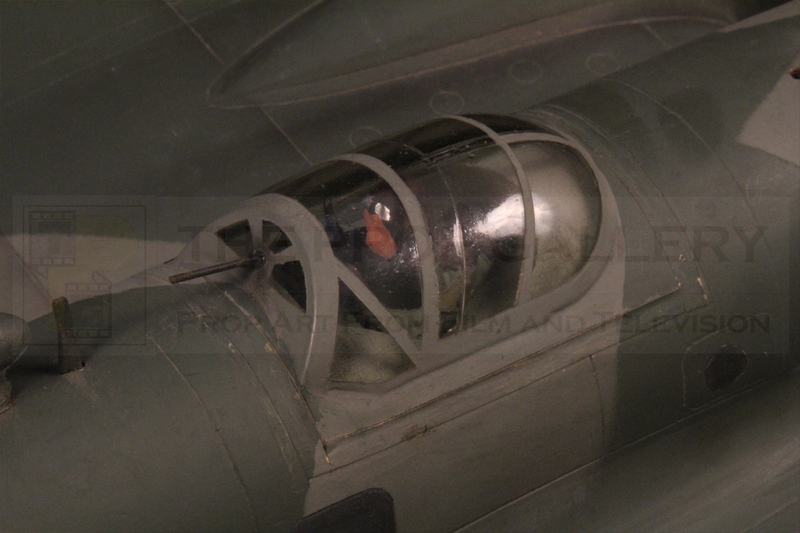 The cockpit is constructed of heat formed acrylic and to the interior features a miniature pilot and nose gunner with the switch used to power the propellers also concealed within, on the top is a further cockpit containing the rear gunner. 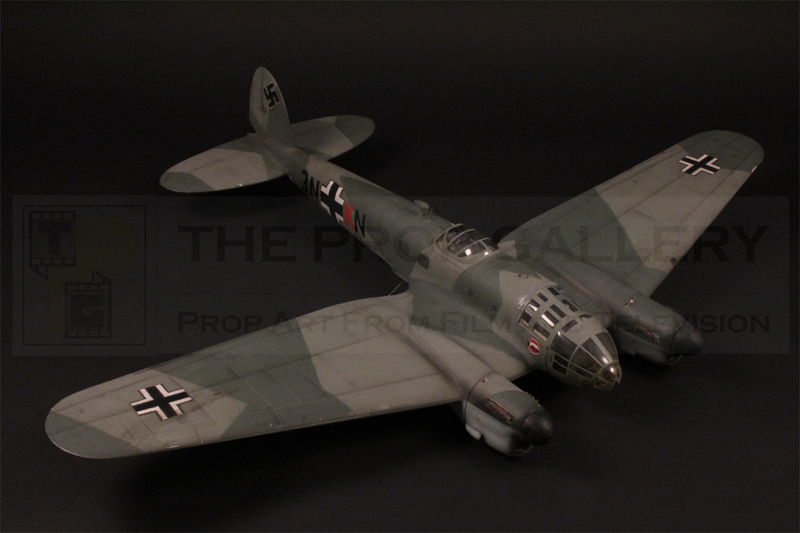 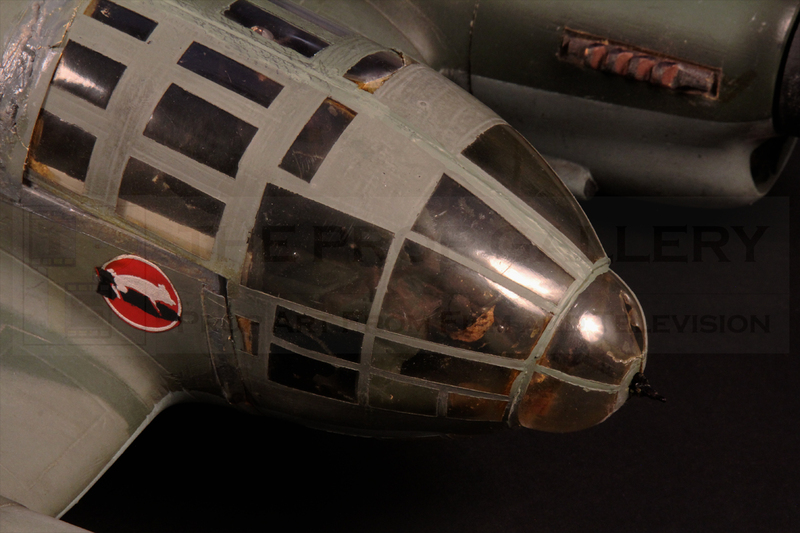 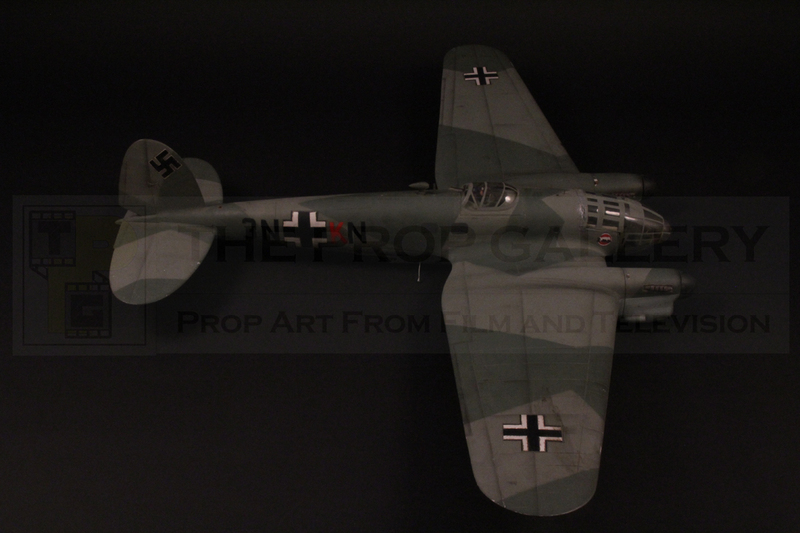 The miniature is painted in a traditional camouflaged finish with various Balkenkreuz crosses, the emblem of the Wehrmacht, to the wing surfaces and fuselage with further fin flash insignia to the rear, to the top and underbelly of the miniature are various mounting points achieved by placing nuts in the fibreglass casting and holes drilled to the wing tips to rig and wire the model for filming. 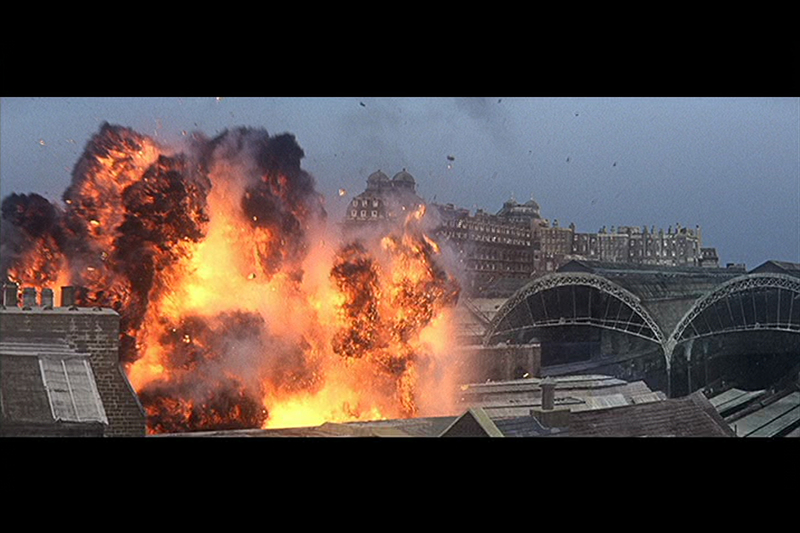 Miniatures such as this can be seen used as the Heinkels approach the London Docklands and later as one crashes in central London in a miniature shot featuring photographic cut outs which was likely created by effects artists Wally Veevers and Ray Caple at Pinewood Studios. 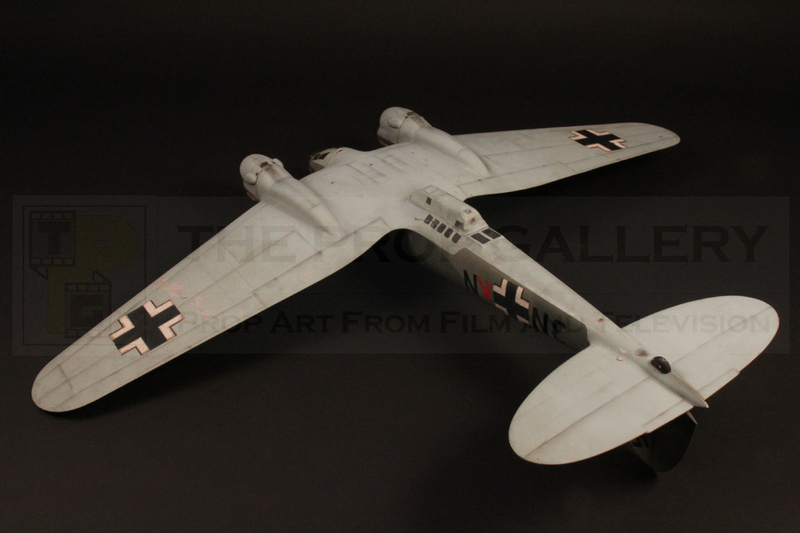 The miniature has an impressive wingspan of 48" and remains in excellent vintage condition having been retained by Ray Caple for many many years after the production. 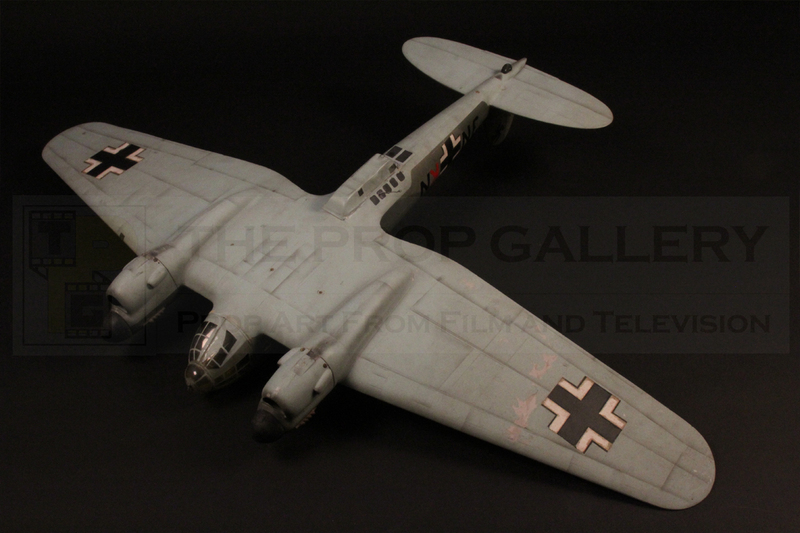 Following filming the vast majority of the RC models were destroyed on location and with principal filming miniatures such as this having been produced in very low numbers it represents an incredibly rare survivor from this quintessential British war picture and an iconic image from the deadliest conflict in history.